In a fun article published in Women’s Health magazine, Caitlin Carlson gives her stamp of approval for learning the Transcendental Meditation technique. And she offers six reasons to learn TM – including better workouts, lower risk of heart disease, improved productivity at work, weight loss, stronger relationships, and a more youthful body. Here are a few excerpts from Carlson’s story. Far from the hippy dippy stigma it used to carry, meditation is starting to be viewed as hip—and healthy. And it seems like everyone is catching on and talking about it, from Oprah to Heather Graham to Russell Brand to Dr. Oz. 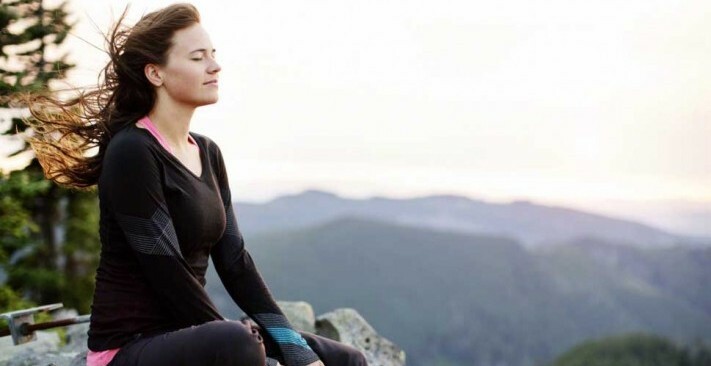 In fact, the American Heart Association recently gave Transcendental Meditation (TM) its stamp of approval, which means you might even hear your doctor talk about it at your next appointment. Here’s the gist: for 20 minutes, twice a day, you sit quietly with your eyes closed while silently repeating a mantra. The idea is that regular practice of Transcendental Meditation will help you feel less stressed, more focused on the here and now, and more attuned to your body and your mind. “By strengthening synaptic connections in the brain, TM helps us to gain patience, be a better listener, and see more value in others and our relationships,” says Rachel Katz, a certified Transcendental Meditation teacher at the David Lynch Foundation in New York City. Why the training? “It’s like so many things—from learning a musical instrument to learning to play tennis, it’s valuable to have a good teacher to help guide you so that you master the technique,” says Katz. To read the full Women’s Health article, click here.